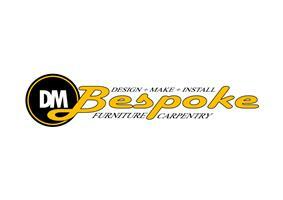 DM Bespoke Furniture & Carpentry - Bedrooms, Carpenter, Kitchens based in Derby, Derbyshire. I would like to begin by introducing myself. My name is Darius, I'm a family man with two children and have been local to the Derby area for the past 10 years. For nearly 20 years now I have learnt the necessary skills and gained vital experience in the field of carpentry/joinery. This has involved working on major construction projects i.e. hospitals, department stores, for example Harrods in London, to working on private individual projects producing bespoke furniture. I operate as a sole trader and if/when required can call on several highly skilled carpenters who are local to the area. I provide a complete service which is tailored to each customer, this can be begin from the design stage through to completion of the project and am readily available to answer any queries. I take huge pride in my work and always set out to achieve and deliver a high quality result!